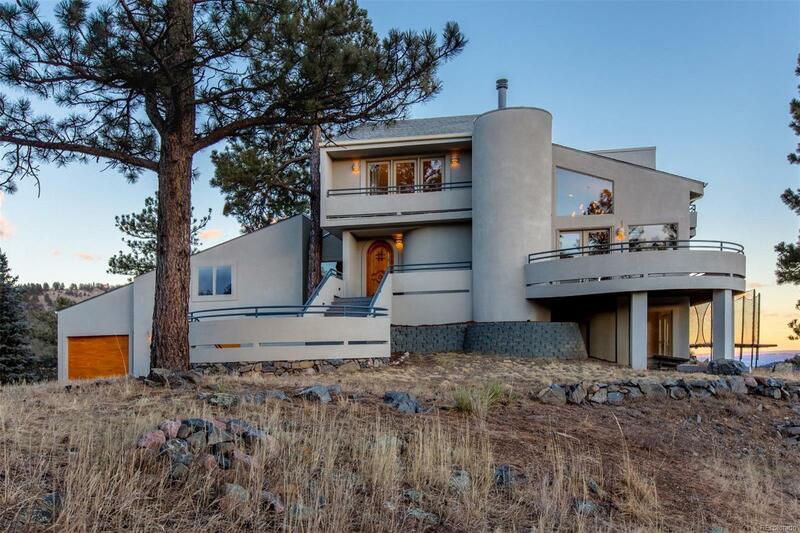 Placed perfectly on one of most desirable lots in the foothills, this modern, fully updated Genesee home has unparalleled, expansive views from every room, including the city lights of Denver, the Bear Creek Basin & Mount Evans. Extensive renovations throughout the home include honed travertine baths, frameless glass showers, brand new Thermador gas range and dishwasher, double ovens, slab granite counters, wide-plank Vermont hickory flooring throughout the main level, wrap-around Trex decking, Pella windows, Premier Garage designed storage & flooring, new roof (2017), & a high efficiency boiler (2015). Easily entertain guests in the two-story living room that opens to the dining area & remodeled kitchen. The main floor also features a flexible home office that could be used as a guest or in-law suite. The expansive master has its own deck and fireplace, spa bathroom and custom walk-in closet. The home boasts a large, bright lower level with two bedrooms & a slate-enclosed wine cellar.